ISLAMABAD: The much-hyped Nandipur Power Plant--inaugurated by Prime Minister Nawaz Sharif on May 31 this year-- generated electricity at the record cost of Rs42 per unit and was shut down after only five days of operation. This was revealed by representatives of the National Transmission and Dispatch Company (NTDC) at a public hearing conducted by National Electric Power Regulatory Authority (Nepra). The hearing approved an eight paisa per unit reduction in average tariff for Water and Power Development Authority (Wapda) distribution companies for a month. The hearing, presided over by Vice Chairman Nepra Habibullah Khilji, was also informed that the Nandipur Power Project had not yet officially or legally achieved its commercial operation date (COD). The first units of the plants to come online was run on diesel fuel for five days after its inauguration, but closed down for being too expensive. In these five days, the plant produced electricity at an average cost of Rs42 per unit. NTDC officials said the decision to bring the plant online was made by the government: NTDC and Pepco had neither requested the operations, nor did they approve the pre-mature generation. This is symptomatic of many of the energy projects the current government has commissioned recently: they jump the gun and rush into ribbon-cutting ceremonies of development and energy projects for publicity, instead of ensuring that the technical criteria and legal requirements have been fulfilled, a Nepra official told Dawn. The inauguration of the Guddu Thermal Power Station and Uch-II; the ground breaking of a 1320MW coal-fired plant at Port Qasim by a consortium of Qatari and Chinese companies, put together by former Ehtesab Bureau chief Saifur Rehman are other examples, he said. Prime Minister Sharif inaugurated the first 95MW plant of the controversial Nandipur Power Project on May 31. The project had been stalled under the PPP government amid allegations of graft, declared an “unforgivable sin” by the prime minister as the plant and related machinery remained stranded at the Karachi port for more than five years. The project cost more than doubled to Rs57 billion (instead of Rs23 billion) and the nation suffered a loss of Rs165 billion, according to Punjab Chief Minister Shahbaz Sharif, who spearheaded the project’s revival. The project will be able to generate 425MW on furnace oil, which can be upgraded to 525MW if natural gas is used as fuel. However, the plant will take another five months or so to achieve commercial operation status. Meanwhile, Nepra approved an eight paisa per unit decrease in the fuel-based power tariff for all consumers of ex-Wapda companies, except lifeline consumers who use less than 50 units per month. The reduction, granted at the request of the Central Power Purchasing Agency (CPPA) on behalf of all distribution companies, was made on account of automatic monthly fuel adjustment for actual consumption in June 2014. The reduced rates would be charged to consumers during upcoming billing month. It was reported that Nepra had set a reference fuel cost of Rs7.51 for the month of June, but the actual fuel cost came to Rs7.44, hence requiring a reduction of 8 paisas per unit. 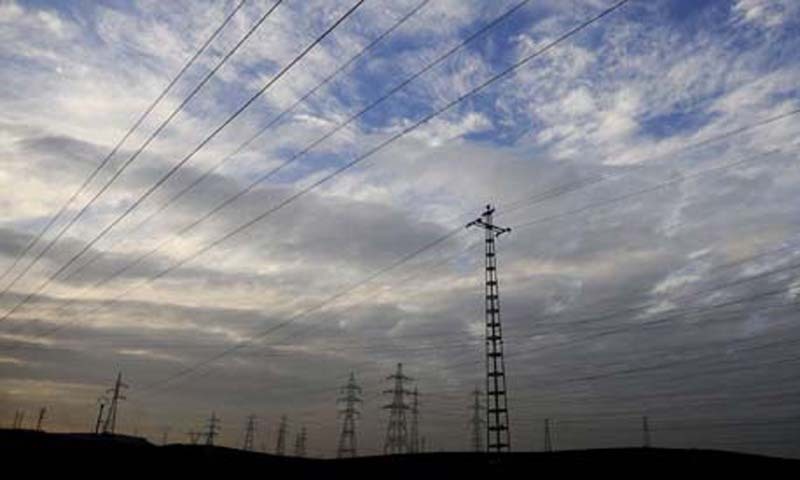 The Nepra also sought a report on claims made by various government functionaries about increase in the electricity generation when the National Power Control Centre (NPCC) reported a 13 per cent increase. Member Nepra Haroonur Rashid wondered why loadshedding had increased despite an increase in power generation. Responding to a question, he conceded that Nepra had not been able to extend any reasonable relief, but said the people should appreciate that it had not “over-burdened consumers”. Good Governance a bad joke. well better for nawaz sharif to stay in saudia and call imran khan to keep control of the land.he will be lucky and better his family to stay in saudia.because the people of pakistan are fed from pppp and nawaz sharif . Some body ate big chunk of money. Where is Chief Justice, he should take care of the law breakers. Shame of those who steal from National funds or take kick back. No body is above the law. Hope some body pays back for stealing. I hope this works out but Integrated Combined Cycle power generation is by far the most beneficial for Pakistan. We have only ourselves or our angles to blame (who cast votes on our behalf)! But please stop playing pranks with the nation. Perhaps Prime Minster Cabinet has more wiser people like Mr. Abid Sher Ali as neither NTDC nor Pepco had requested the operations, nor did they approve the pre-mature generation. So Govt should clarify who advised them to run the plant prematurely and at such an expensive rate of RS. 42 per unit and now i understand that why WAPDA is in loss because of such stupid decisions. Moreover nation still has to bear. Is there any body from the government officals will clarify to the public that once the plant will be fully operational how much unit will be costing. I was thinking Nandipur project was run on river type thing. Now it seems that it is like same furnance oil type for which PML-N always saying bad things to PPP. As I see it, the govt is guilty of over-efficiency here. Political pressures and public demand for reduction in load-shedding led them to commence production from a plant that is simply not ready yet. The planned date of completion is Dec 2014 which is still 5 months away. Opposition is misguiding the public with propaganda suggesting that this is a failed project. There is nothing wrong with the project itself it will be ready by the official completion date. Our rulers are not only clueless, they seem to be also blind. How people already burdened with high commodity prices can afford to pay Rs 42 per unit for electricity. These white elephants will be another burden to pay for poor masses. Another landmark of corruption in this PML-N'S government. @Saud : And nothing wrong with spending millions of tax payers money on false publicity to propagate an achievement of finishing the project way ahead of time as if they did it from their own pocket and gifted it away to this energy starved poor nation. @Saud I amazed at people Feeding themselves with ignorance , So You are planning to run it on Gas? Where would you get Gas from? Furnace Oil? Arent we fed up of IPPs which are already on Furnace Oil producing Costly Electricity?. Whats new and Efficient about this plant? Another Shareef con.....yet still the party faithful think he is our saviour...i must have asked a 100 people while i was in Pakistan recently WHY did you vote for him...not a single decent answer. and yet the govt. imposed 32% import duty on solar panels. what was the reason to rush this ribbon cutting ? I think even NS would have no idea about if the plant was ready from technical side or not ! @Mohammad Akhtar he must be busy finding job for his son!